The Welsh Cabinet met today in order to agree our response to the EU referendum result, and the short, medium and long-term strategic actions arising from it. Ministers agreed that the interests of Wales and its people would be front and centre in our strategy, in particular given the unprecedented political turmoil and the ongoing uncertainties stemming from it. There is a cross-government resolve to use every lever at our disposal to ensure that Welsh jobs and communities are protected as much as possible through what may be difficult times ahead, and to work together to get the best deal for Wales. There are deep concerns about the effect on business and investment in Wales, and following on from my statement last Friday, Cabinet resolved to implement a series of confidence-building measures to provide as much stability and certainty as possible. These will be announced in the coming days by the Cabinet Secretary for Economy and Infrastructure. In the meantime, we have maintained close contact with investors from within the EU and beyond over the weekend, to reassure them on our continued support. We remain an outward looking, internationalist and pro-business government, and our commitment to a Welsh economy which delivers fairness and opportunity for all is undiminished. Another immediate concern expressed around the Cabinet table was the ugly atmosphere created by elements of the Leave campaign, the effects of which are already being felt on the streets of Wales. Cabinet members cited examples of hateful incidents directed against non-British people in their constituencies over the weekend, and equally distressingly, against people from ethnic minorities born here in Wales. Ministers resolved to issue a clear statement today that such racism is completely unacceptable in Welsh society. Absolutely nothing has changed in the status of foreign nationals living and working in Wales. They remain welcome as they always have been – before devolution, before the EU. Wales has always been a welcoming country and we must not lose sight of that. It is incumbent on all of us, no matter how we voted last week, to stand up to anybody who thinks they now have licence to abuse people of different races or nationalities. They have no such licence and should anyone suffer from this sort of abuse, they should report it to the police immediately. I am today writing to the four Welsh Police and Crime Commissioners, asking for them to be alive to this changing situation, and to provide appropriate support to any affected communities. As a government, we are also taking practical steps to safeguard Wales’ interests in the coming negotiations. Cabinet resolved to form an expert team of civil servants, based in our existing office in Brussels, and independent of the UK Government, to explore where our priorities can be taken forward directly with the EU. This will run in parallel with, but in no way replaces, our expected participation in the UK Government’s negotiating approach. The final outcome of the forthcoming negotiations, and the effect of any deal on Wales, remains very unclear. 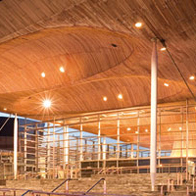 Ministers were unanimous that it was essential that the people of Wales have a say on the terms of that deal, without revisiting the result of Thursday’s referendum. Cabinet expressed a view that, given the scale of the impact on all parts of the country, that approval for the final negotiated arrangement should be sought from each of the four Parliaments in the United Kingdom, giving their people a measure of control over a deal that will affect the lives and livelihoods of every single person. There are difficult days ahead, but as a government we will be decisive in our actions and transparent in our communications on this, the biggest issue facing our country for decades. The result announced in the early hours of Friday, and the political turmoil that has followed, has left many people feeling angry, anxious, and disoriented. Whether you voted to remain or to leave, the Welsh Government will do everything in its power to protect Welsh interests, strengthen our economy, and unify our nation.